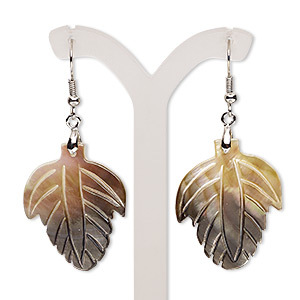 Earring, black lip shell (natural) and silver-finished "pewter" (zinc-based alloy), 2 inches with carved leaf and fishhook earwire. Sold per pair. 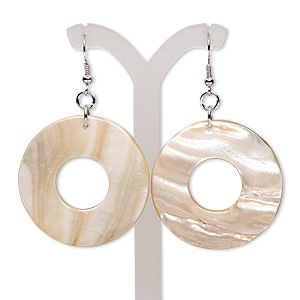 Earring, brown lip shell (natural) and silver-finished "pewter" (zinc-based alloy), 2-1/4 inches with round donut and fishhook ear wire. Sold per pair. 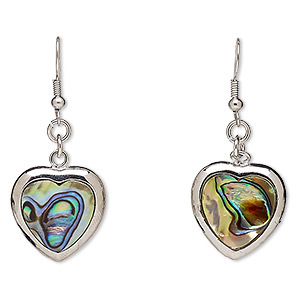 Earring, paua shell / mother-of-pearl shell (coated / assembled) / silver-finished "pewter" (zinc-based alloy), 45mm with heart and fishhook ear wire. Sold per pair. 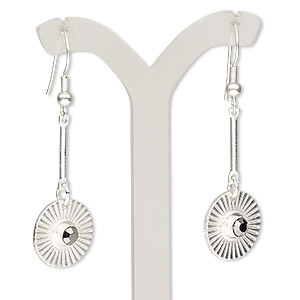 Earring, enamel with silver-finished steel and "pewter" (zinc-based alloy), black, 38mm with round go-go and fishhook ear wire. Sold per pair. 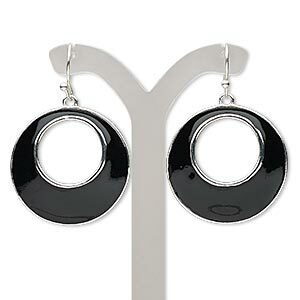 Earring, suede and silver-finished "pewter" (zinc-based alloy), black, 2-1/2 to 2-3/4 inches with cutout design. Sold per pair. 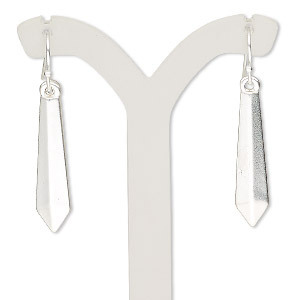 Earring, silver-finished steel and "pewter" (zinc-based alloy), 2 inches with double teardrop and fishhook ear wire. Sold per pair. 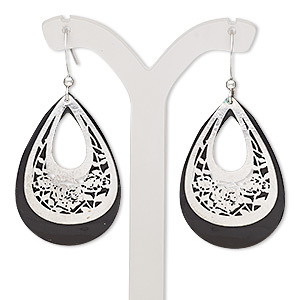 Earring, glass rhinestone with silver-plated brass and "pewter" (zinc-based alloy), black, 2 inches with matte flat round and fishhook ear wire. Sold per pair. 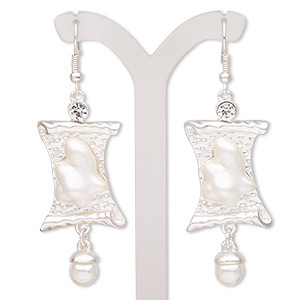 Earring, acrylic / glass rhinestone / silver-finished brass / "pewter" (zinc-based alloy), clear and white, 2-1/2 inches with scroll and fishhook ear wire. Sold per pair. 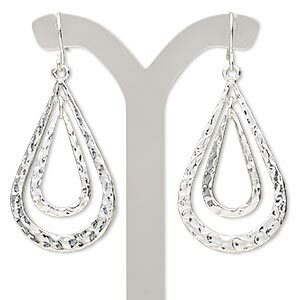 Earring, silver-plated brass and "pewter" (zinc-based alloy), 1-1/2 inches with diamond and fishhook ear wire. Sold per pair. 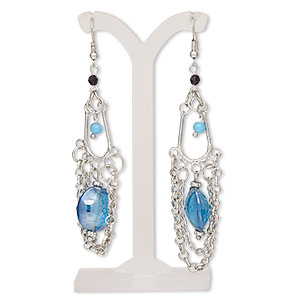 Earring, acrylic / glass / silver-coated plastic / silver-plated steel, turquoise blue luster / black / turquoise blue, 3-1/2 inches with fishhook ear wire. Sold per pair. 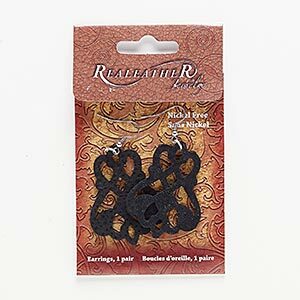 Earring, acrylic with imitation rhodium-plated brass and "pewter" (zinc-based alloy), black, 49.5mm with brushed teardrop and rose cutout design with fishhook ear wire. Sold per pair.